With the end of 2015 quickly approaching (someone please tell us how it’s December already!? ), we’ve been reflecting on our favorite moments of the past year and getting ready for the new one by making sure we have all our favorite tools in place for an awesome 2016. Because, as Thomas Jefferson said, “If we did all the things we are capable of, we would literally astound ourselves.” I don’t know about you, but I want to make 2016 my best year yet. It’s easy to go into the year haphazardly with vague resolutions that die by the second week of the year. But when you commit yourself to a system, you take hold of the year and can make all sorts of things happen. 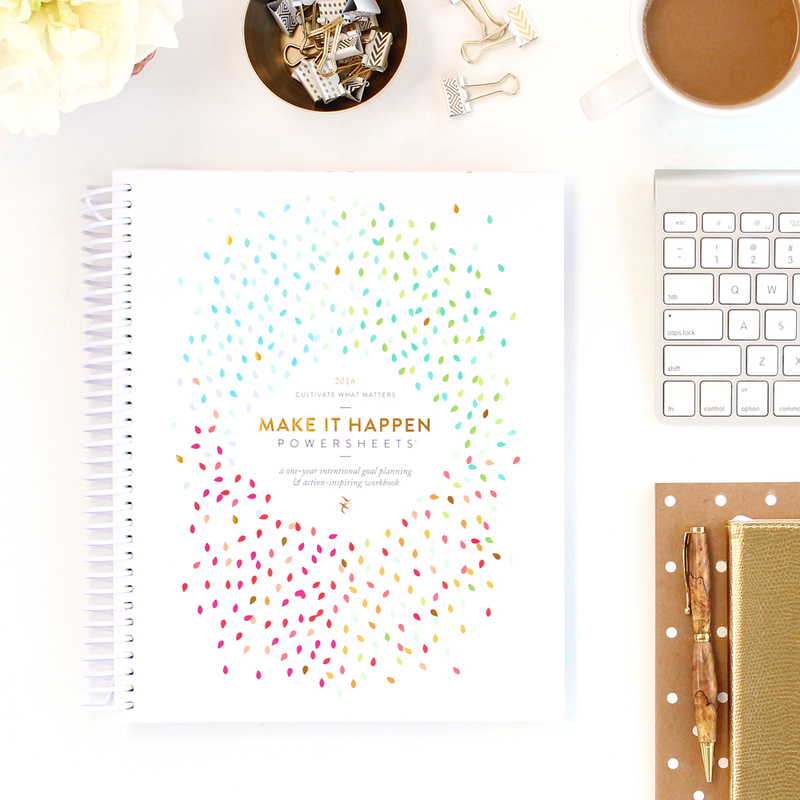 We love pairing our Simplified Planner with Lara Casey’s Powersheets. It’s no secret that we love the girls over at the Lara Casey Shop. 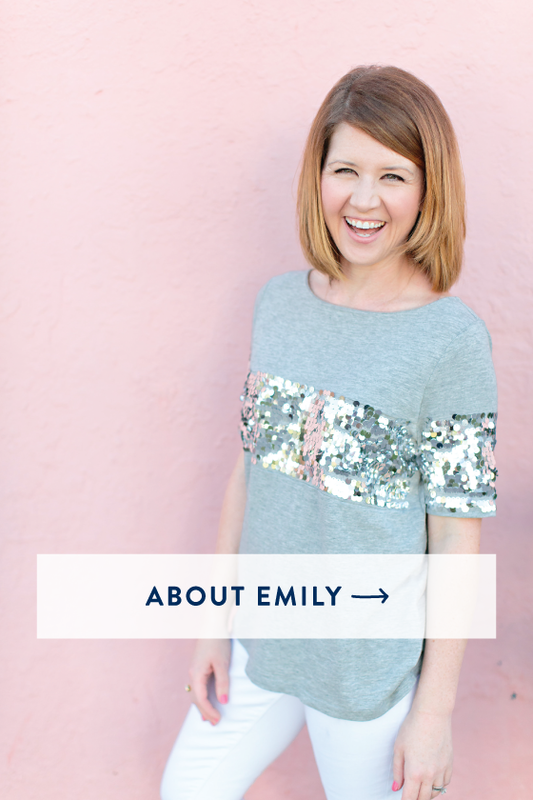 They’re just good people who care deeply about helping women make what matters happen. That’s why we wanted to take some time before the new year to sing the praises of Lara Casey’s PowerSheets. 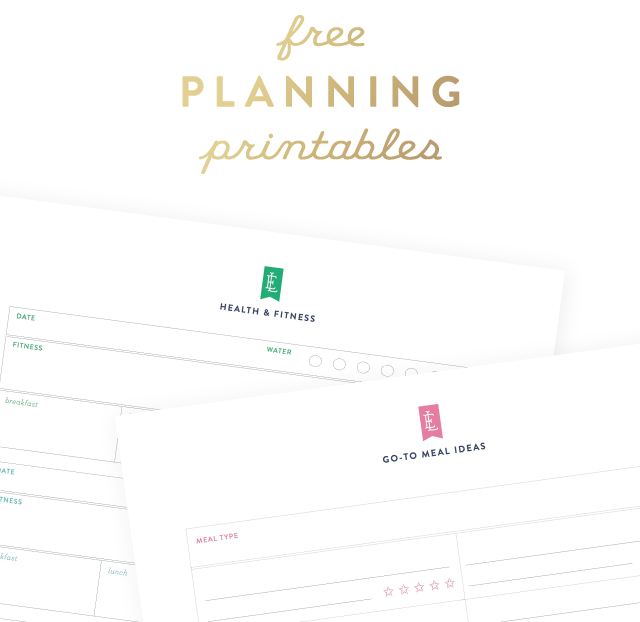 Power sheets are the ultimate intentional goal planner + action-inspiring worksheets. We love them because it helps us get #ALLTHETHINGS done when it feels like we’re drowning in our to-do lists. PowerSheets are a bundle of intentional goal setting worksheets that guide you to dig deep, narrow your focus, set purposeful goals, and tend to what matter most. 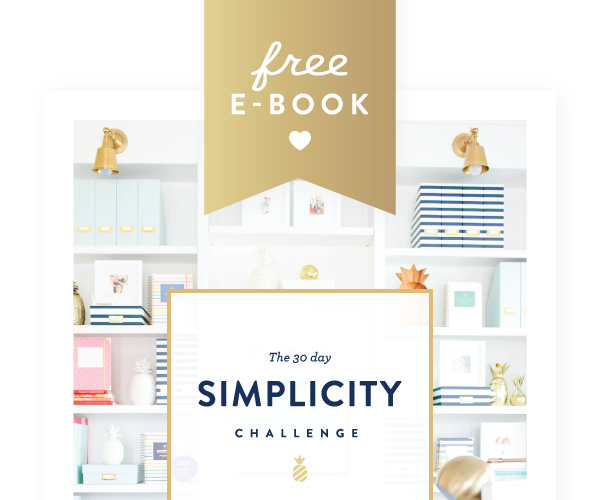 The pages include goal action ideas, cultivating gratitude, a big dreams page, quarterly refresh pages, and more. But the best part is that they’re not overwhelming (because goal setting can surely be overwhelming). 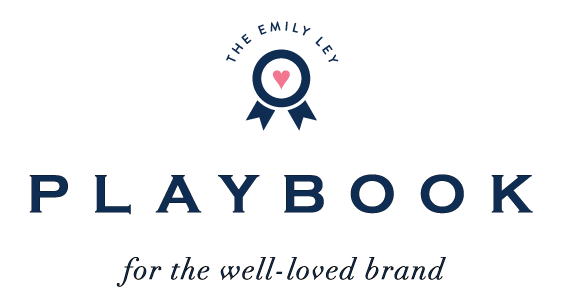 They take the pressure off by providing a simple process that walks you through uncovering what matters most to you and cultivating those things through strategically planned action-steps and monthly, weekly, and daily tending. 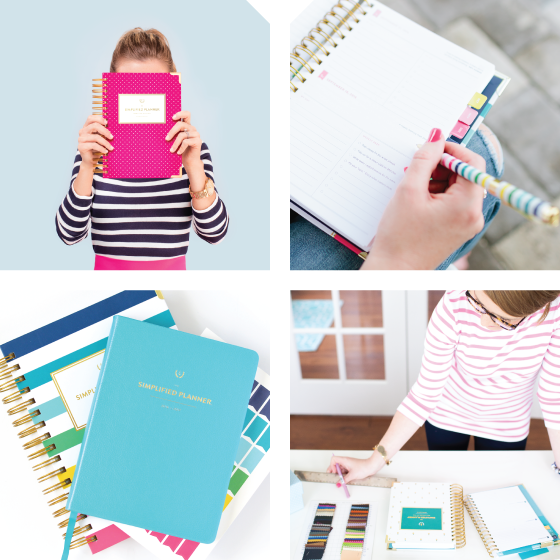 They are the perfect tool to use alongside our Simplified Planner to help you make what matters happen in 2016! You can order the original, undated set to put inside one of their super cute new binders. You also get access to the exclusive PowerSheets Facebook Group to connect with other women who are making 2016 happen! 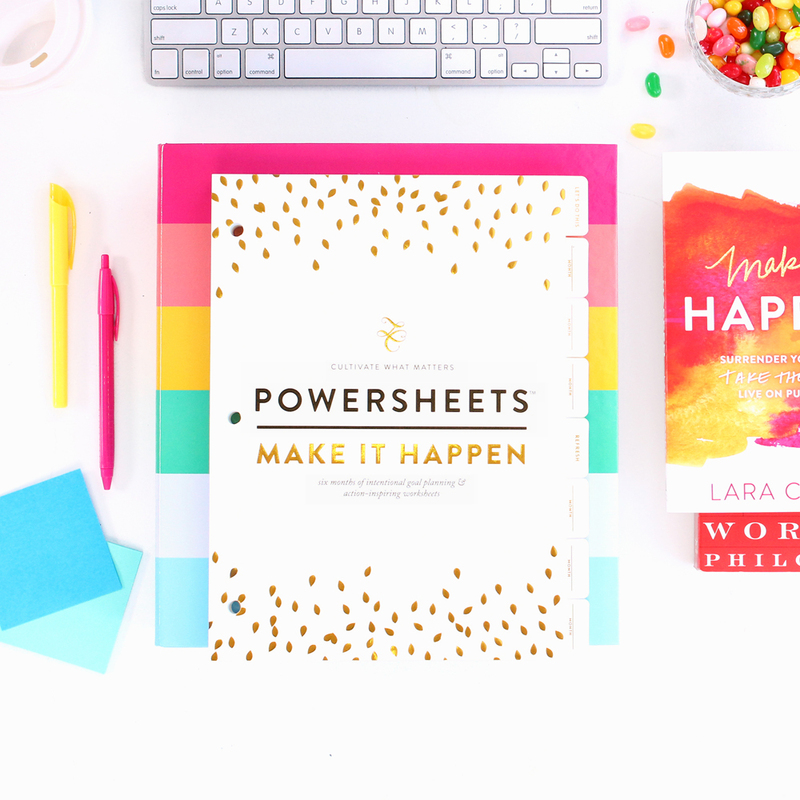 Whether you’re ready to bring on the new year or feel like you need a year to recover from the last one, PowerSheets will help you define your goals and live on purpose, and that’s why they’re one of our very favorite tools for an awesome 2016. Follow along on our Instagram (and the Lara Casey Shops’!) for more planning tips and inspirational quotes to get yourself ready for the new year! AND……. 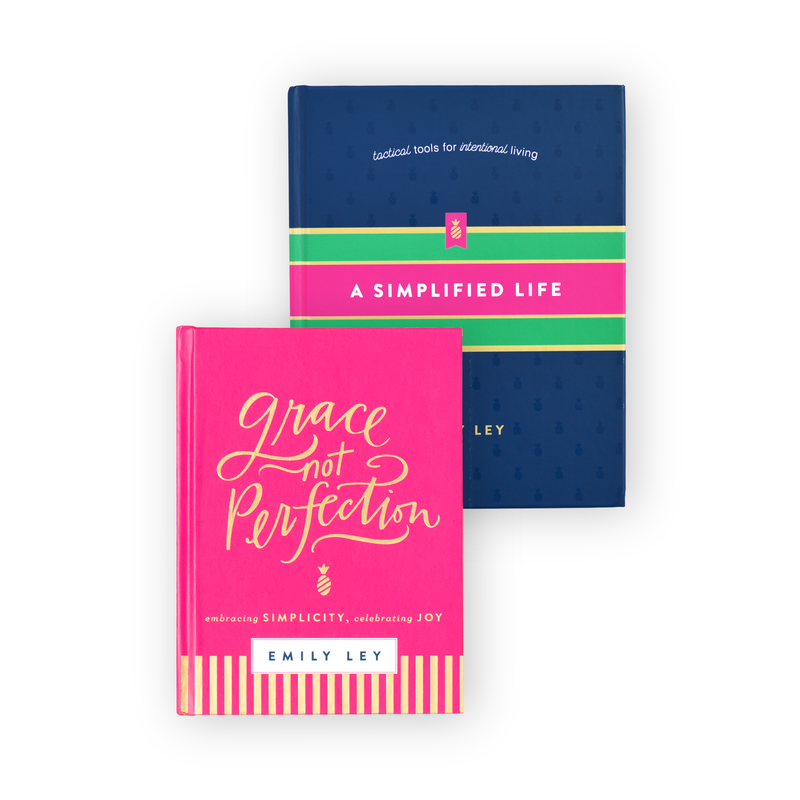 our friends over there have offered you 15% off the new Powersheets with code EMILYLEY15 (HOORAY!!!) Run, go! Code expires 12/17. Trust us, you’ll be glad you made the purchase. We’ve used Powersheets over here for years and we really believe in them. I’m also super excited to co-host a FREE webinar with Lara next week! 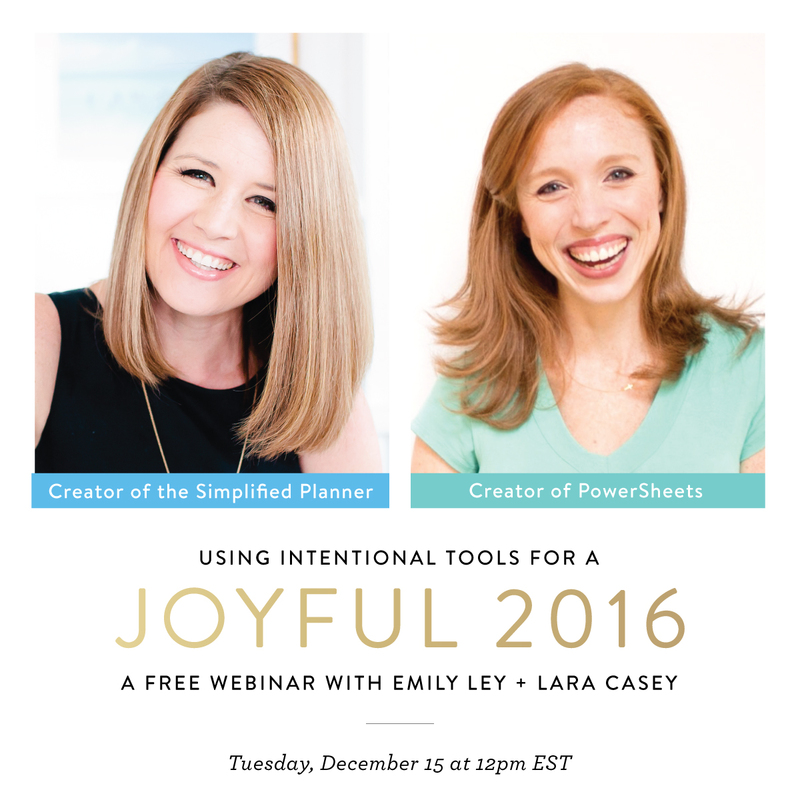 We’ll be talking through ways to use intentional tools (and purposeful choices) for a joyful 2016. Sign up here!